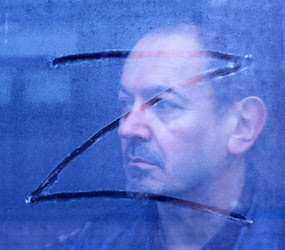 I just found out that one of my favourite composers and musicians, Hector Zazou, died on Monday aged only 60. According to various reports, Hector had been seriously ill for several months and had had to cancel several shows throughout the Summer due to this illness. Hector Zazou, for those of you unfamiliar with his work, was an Algerian born French composer and producer. He was a hugely influential figure in electronic, ambient and world music. A serial collaborator, he has worked with most of my favourite artists; including David Sylvian, Peter Gabriel, Ryuichi Sakamoto, Björk and Lisa Germano. More recently, Hector has been working in Bill Rieflin’s Slow Music with Robert Fripp. Hector’s most recent album House of Mirrors will apparently be released later this month. Hi albums Strong Currents and Lights In The Dark have been on heavy rotation here of late. If you haven’t heard Hector’s music, Strong Currents or Sahara Blue would be a great place to start. I am particularly saddened by this news as Hector contacted me towards the end of last year asking me to travel out to Paris to work with him on his upcoming ‘J@zz Project’. This was a great honour and it was truly humbling to be contacted directly by Hector via MySpace. Sadly, due to Hector’s other commitments at the time, we never actually got it together. Although we never actually met, I still remain a huge fan and admirer of his work. He will be dearly missed. This entry was posted on Friday, September 12th, 2008 at 1:00 pmand is filed under . You can follow any responses to this entry through the RSS 2.0 feed. You can leave a response, or trackback from your own site. New Monochrome Echo Album Out Now! Debut Monochrome Echo Album Out Today! New Monochrome Echo EP Analog Artifacts Out Today! !